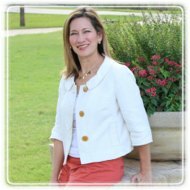 Plano Therapist: Cynthia Orrego - Therapist 75074. Send A Message To Dr. Orrego. As a Licensed Psychologist and a Licensed Specialist in School Psychology (LSSP), I have dedicated my work in helping children, adolescents, and families reach their full potential and make positive changes in their lives. I earned my doctorate from the APA accredited School Psychology program at Texas A & M University and a master’s degree in clinical psychology from the University of Texas- Pan American. I completed an APA accredited internship at the University of Texas Health Science Center located in the Houston Medical Center. My post-doctoral work was completed at the Houston Independent School District. After six years of working for Houston school districts (Houston ISD and Spring Branch ISD), I decided to work in private practice. I worked with a private practice group (Premier Psychological Services) in Houston, Texas for eight years. By implementing empirically-based therapeutic interventions in a safe and compassionate setting, I have guided others towards positive changes and growth. I believe that building a caring, warm, and trusting therapeutic alliance with clients is critical in the therapeutic process. Good rapport with clients and families is especially important in my practice. I emphasize a family systems approach in working with young clients, in which parents are involved in the treatment of their child, including learning positive parenting techniques. I also approach therapy and the evaluation process with the belief that every child and their family is unique, and therefore individualized and personalized treatment and assessment is important. I strive to find each individual client’s strengths, which I use as a means to strengthen areas of weakness. The benefits of my approach help clients feel safe, comfortable and positive about being in therapy or having an evaluation. Working with children, adolescents and young adults with Autism Spectrum Disorder, anxiety, ADHD symptoms, and learning differences has been my passion. I emphasize helping individuals with these conditions or multiple conditions become independent and fulfill their potential by using a compassionate therapeutic relationship which takes into account each client’s strengths and weaknesses. I also enjoy working with individuals who were referred for depression, bipolar disorder, behavioral problems, adjustment disorder, and emotional dysregulation. When clients schedule their first visit, I will conduct an initial or diagnostic interview. Clients can express their concerns in a safe and caring environment. I will take the time to do a thorough history intake and listen to concerns, which will assist in developing an individualized treatment plan. Based on the client’s concerns and information an evaluation or therapy will be recommended. I want clients to feel comfortable so that they can work on developing the tools they need to help make positive and lasting changes in their lives.